Nintendo has partnered with a venture capital firm in order to seek out new tech startups who will be able to bring new accessories and improvements to the Nintendo Switch. Scrum Ventures will be searching for companies that will fit with the Nintendo Switch + Tech program. This program has the goal of expanding the range of the Nintendo Switch, not only in audience but also in gaming capabilities and making the gaming experience even better. Nintendo Switch + Tech is a hardware only initiative for now. 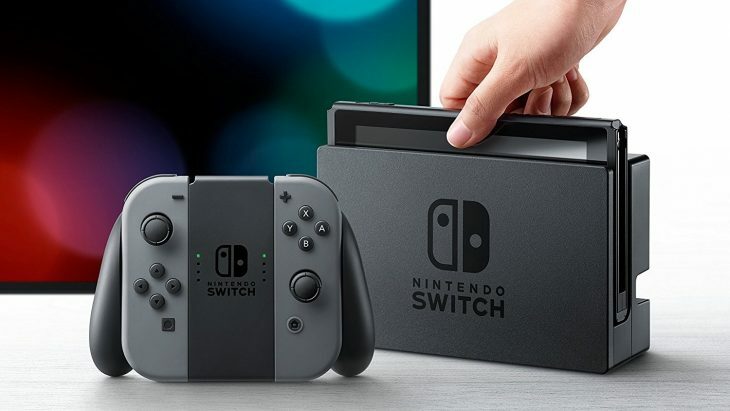 Nintendo have said that they have no interest in software improvements at this time, but they are very open to any interesting hardware that can improve the Switch experience. As a result of the highly targeted program Scrum Ventures is much more likely to be looking at smaller companies, such as tech startups, university research teams, and smaller divisions of larger corporations working on hardware accessories. This program follows on the heels of the hugely positive reception to Nintendo’s upcoming hardware innovation for the Switch, Nintendo Labo. The cardboard peripherals are almost infinitely customizable, and can be programed to interact with controls in whatever way users want. The success of Nintendo Labo has been so great so far in fact that Nintendo’s share price saw an increase soon after the announcement of it. Applications for companies to join and become part of Nintendo Switch + Tech are open from now until the June 6, 2018. Over the summer the companies will be shortlisted, and the companies that make the cut will be able to pitch their ideas for hardware to Nintendo in the Autumn. While Nintendo is obviously looking for new accessories and peripherals to come out of this program, it’s also possible that they’re open to tech that the Switch can be enhanced by. This project is quite outward-looking for Nintendo given their past reputation of sticking to first party games and accessories. If the project pays off then fans can expect to see new and interesting peripherals coming out for Nintendo Switch and their favorite games, or new games that will become their favorites.